It is an early Saturday morning in late December 2018 and a little before the 6 January evening Mass that heralds the advent of Coptic Christmas in Egypt. Mounir Fam, a leading architect, is standing in the entrance of a truly monumental building he designed a little under three years ago. 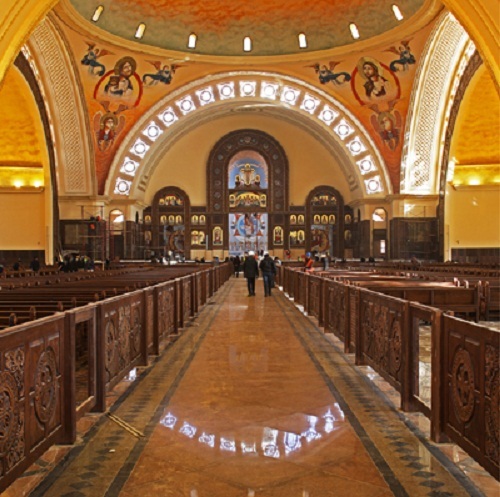 It is the Nativity Cathedral, the new heart of Egypt’s Coptic community in the country’s New Administrative Capital and the marker of some 2,000 years of the Christian presence in Egypt. President Abdel-Fattah Al-Sisi is expected to keep his habit, observed since he came to power in 2014, of making an appearance at Christmas Mass on 6 January. This Christmas, as during the past couple of years, the head of the Coptic Church, Pope Tawadros II, will lead the Christmas Mass in the new Nativity Cathedral. In 2018, the cathedral was still under construction. For Christmas in early 2019, however, Fam has promised that the construction work will have come to an end —“or almost, as there are a very few things remaining, but we are almost done,” he says. 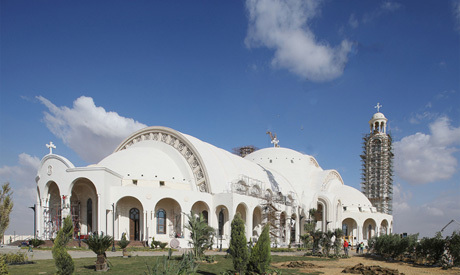 Fam is a prominent name in constructing and reconstructing churches in Egypt. However, the Nativity Cathedral is his largest-ever project, and he is proud of this monumental building built on over 8,000 square metres of land and surrounded by over 1,000 square metres of landscaped green space in the New Administrative Capital where it has been under construction for close to four years. The interior of the building speaks of the talent of this architect who has used no columns in order to allow close to 8,000 people to attend prayers without visual boundaries between them. “This was one of the things I was very keen on, because in St Mark’s Cathedral in Abbasiya in Cairo there are so many columns that at certain points they block the vision of those who attend mass,” Fam said. 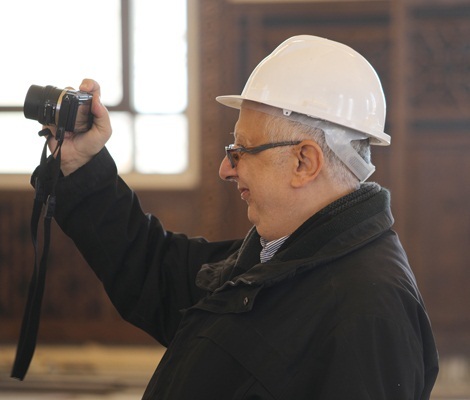 Obviously, he added, the design of the new cathedral was made with the help of new technology that was not available when prominent architect Michel Bakhoum built St Mark’s Cathedral. In November 2018, the cathedral celebrated the 50th anniversary of its opening. Until 1964, members of Egypt’s Coptic Orthodox Church who represent the majority of Egypt’s Christians had their cathedral in the heart of Cairo’s Azbakiya district, where St Mary’s Cathedral, built in the early 19th century after a decree issued by the Ottoman sultan in 1800, once stood. In 1965, former president Gamal Abdel-Nasser joined Pope Kirollos VI and the then emperor of Ethiopia, which follows the Coptic Orthodox Church, to lay the foundation for the new St Mark’s Cathedral that was inaugurated in November 1968 in Abbasiya in the east of the capital. Fifty years later, the new Nativity Cathedral is being readied for its opening while St Mark’s has undergone renovation that has seen it covered with paintings and icons. “It was a parallel job, to build the new Nativity Cathedral and to refurbish St Mark’s,” Fam said. “In both cases, it was essential to stick to the spirit and style of the rich Coptic designs,” he added. 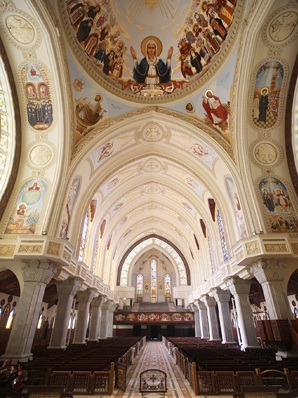 For the Nativity Cathedral, Fam took his inspiration from a sixth-century church in Marioutiya near Alexandria. For St Mark’s Cathedral, he worked on preserving the original design of the interior, while allowing for divisions to be made for artists to contribute new paintings and icons. Samuel Mettias, coordinator of the renovation project, said that Pope Tawadros had declined the idea of recruiting Italian or Greek artists to contribute to the interior of the cathedral. “He wanted the work to be done by Egyptian artists. He felt it would be better not just for the artists or for the church of Egypt, but also for the country as a whole,” Mettias said. The artists were selected through a competition organised by the church, and their work was coordinated to make sure they produced a harmonious style. The preparation for the work was a very detailed process, said tacwni (deacon) Sawsan, who oversaw a committee put together to manage the artwork now covering the otherwise grey walls of St Mark’s. “We drew up a plan of the items we wished to have, and we put down parameters that we asked all the artists to observe. We also made sure that we had provided the artists with all the material required to make sure we did not end up with a confused palate or unsyncronised textures,” she said. There was also a need to repair the infrastructure. “Everything has been redone. It has been 50 years since the cathedral was built, and we needed new lighting and sound systems. We also needed to install modern security systems and so on,” Mettias explained. For the last two years, Pope Tawadros has led the Easter Mass that is still held at Abbasiya and that is not attended by the president given sensitivities in the Muslim and Christian creed about the crucifixion and resurrection of Jesus Christ. 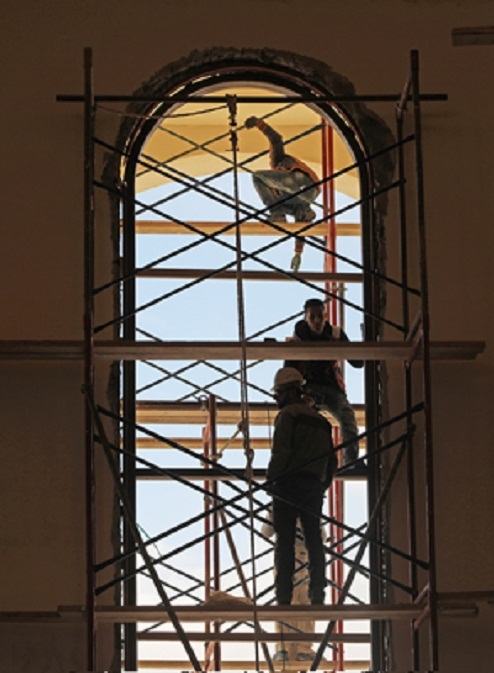 Meanwhile, construction work has been underway inside and outside the cathedral and in its adjoining residences of the patriarch, its service centres, and its centres for Coptic Christian learning. By Easter 2019, the entire renovation job should be finished, Mettias said. “We are almost there, and we might even be done before Easter,” he said. Mettias is confident that despite debates over the renovation and the need for it to be done, the vast majority of worshippers will be “thrilled to see their cathedral so beautifully restored”. “I realise that some thought we should not have done it, but in all honesty given the importance, the weight, and the history of the Coptic Orthodox Church, and even though we have a new cathedral in the New Administrative Capital, it was still important for this cathedral to be restored,” he said. 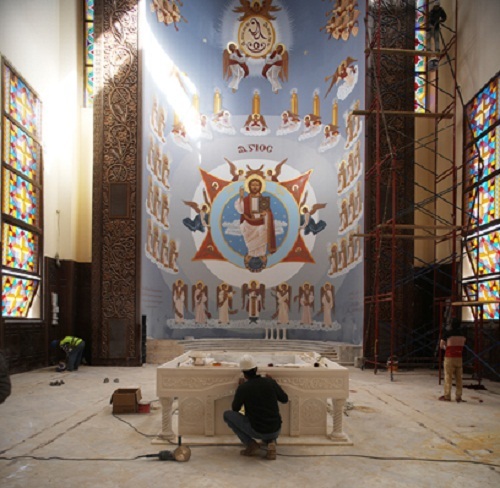 Some Copts are rejoicing over the renovation work. Hala is a civil servant in her late 40s who lives near the cathedral in Abbasiya. A committed churchgoer, she said she was very happy with the new artwork and renovation. “For me, it is not just that it looks brighter and more beautiful. It also reflects the fact that we are still here and that we are able, with the helping hand of God, to keep our imprint in this land,” Hala said. She did not wish to comment on arguments about the cost of the project, never announced by the church. “I don’t know the details, but I trust Pope Tawadros and it is as simple as that,” she said. Saniya, a housewife in her late 60s, also said that she was happy with the renovation work because “the cathedral now has icons.” However, her grandson Abadir, a student of commerce, was not so happy “not because it does not look good — that is not the point —but because this is not just renovation. It was important to keep the cathedral the way it was with its bare and grey walls because it stood as a witness to its own history and the era it was built in, just like the older churches in Egypt,” he said. Prominent artist Adel Nassif said in remarks on his Facebook page that the quality of the artwork could have been better, and he suggested that even if the purpose had been to give the cathedral a facelift, the job had gone astray “from an artistic point of view”. In remarks shared on his Facebook page, commentator Robert Al-Fares took the debate further and threw in questions about the alleged lack of financial transparency in the management of state resources at a time when many Copts, like the vast majority of Egyptians, are forced to deal with various economic challenges. Over the past few months, Al-Fares’ writings have focused on the need for more transparency from the church on issues of interest to its followers. He has been particularly critical of the lack of information on the killing of bishop Epiphanius in late July in the Saint Macarius Monastery northwest of Cairo. Charges have been levelled against a monk. Another monk, who committed suicide at the same monastery a few weeks following the killing, is suspected of having been an accomplice in the crime. A court case is currently in process, and the next hearing is due for the third week of January. Ishak Ibrahim, a senior researcher at the Egyptian Initiative for Personal Rights, an NGO, said that the case was both convoluted and telling. It was convoluted, he said, because the investigations so far have failed to offer a clear scenario for what really happened and because there were allegations relating to the financial conduct and spiritual commitment of the monks. Ibrahim argued that the Epiphanius case was telling of a more consequential issue because it had brought to the surface and to the attention of followers of the Coptic Church sometimes overlooked questions about the conduct of the clergy. 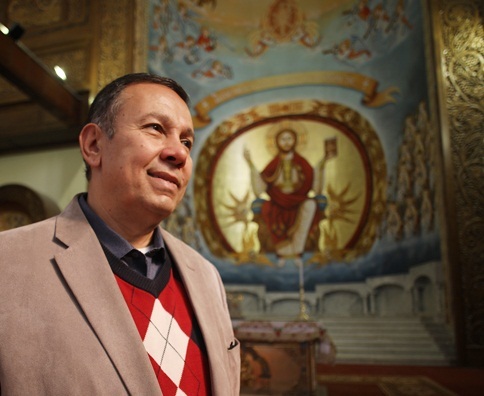 “Clearly, this is a very sensitive issue that the church would not have liked to see coming out into the open — nor for that matter would most Copts who may feel that this episode has brought them scorn from society at large,” he added. “I can live with these silly remarks because there is hatred in this world unfortunately, but what is really bothering me is the attitude of the church. It is as if the church does not owe us an explanation, and it just wants the story to be hushed up,” she said. For Mariam, the Epiphanius case is just “part of a larger attitude that the church adopts when handling anything without sharing with the people. This includes everything from relations with the state, the security bodies, and other churches. It is disappointing, as this is not my idea of the spiritual leadership of the church,” she stressed. Rami Atta, an instructor at a private university in Egypt, is a member of the Committee for Citizenship and Human Rights that has been established by the Higher Council for Culture. He is not disturbed in his assessment of the role of the church on managing its affairs. “I think it makes sense that the affairs of the clergy should be examined within the due context and by the due committees, because otherwise it would be confusing for the followers of the church,” he said. He also accepts the argument offered by the church that the restoration work on the cathedral was financed by donations for this purpose. What concerns Atta is the “involvement of the church in politics. The church should have nothing to do with politics. It should not assume that it can decide for its followers their political preferences, nor that it can promise the state the collective political conduct of all the Copts in Egypt. This goes way beyond its spiritual role,” he said. Over the past few years, Amir, an engineer in his mid-30s, said that the church had often tried to influence him and others in deciding on political choices. In the early days of the 25 January Revolution, for example, which Amir and many other Coptic young men and women joined, his Heliopolis church had tried to discourage him from going to Tahrir Square. In the 2012 presidential elections, the church offered guidance on voting in the first and second rounds, and “there was a dedicated appeal for everyone to join the 30 June demonstrations, to say yes to the 2014 constitution, and to vote for Al-Sisi,” he said. In all the above cases, Amir acted upon his own decisions and declined any advice, either from the bishop of the church or the priest at the Sunday School he attended. He agrees that declining the guidance of the church on politics did not “strain the bond” with his clergy or his Sunday School. “But what I feel is that they should not be doing this. I feel that the pope should not interfere in politics. His status is much higher than that,” he said. Sinout Delwar, also an engineer, but in his late 50s, argues that it is unfair to suggest that Pope Tawadros has been acting to please the head of the executive. “I think there are three things that need to be taken into consideration. First, Pope Tawadros likes President Al-Sisi and feels that the president is trying to reach out to the Copts and appreciates this. Then there is the fact that for decades, the state has chosen to deal with the head of the church as the representative of the Coptic community; and third in some cases the leaders of the church happen to have opinions that some people do not agree with,” he said. Delwar chose to join the 25 January Revolution despite the scepticism demonstrated by then Pope Shenouda, “who was not necessarily acting to win the favour of [ousted former president Hosni] Mubarak, but rather out of apprehension about who was really behind the protests,” he said. Before and after January 2011, Delwar said that he had made his own choices. “I was close to Pope Shenouda, and I am also close to Pope Tawadros, but I claim to act upon my own and that this has not hampered the good relations I have with the patriarch of the church,” he said. Delwar argued that the construction of both St Mark’s Cathedral and the Nativity Cathedral had been on the initiative of the head of the executive towards the head of the church. “In 1964, when the Copts were angered by the attack of some radicals against one of their churches in Aswan, Gamal Abdel-Nasser upon the advice of his confidant Mohamed Hassanein Heikal to start the construction of the cathedral in Abbasiya, and the news was conveyed to Pope Kirollos VI. Fifty years later, President Al-Sisi told Pope Tawadros II during Christmas Mass that a new Coptic Cathedral would be built in the New Administrative Capital,” he said, that too was after a series of attacks on Coptic churches. Some Copts, who would not wish to challenge the authority of the church or its representation of the Copts of Egypt, might still contest some of the stances of Pope Tawadros, however. This would not be on the basis of the strict separation of church and state, but instead would be on the basis of comparing the choices of the current head of the Coptic Church to his two predecessors, Pope Kirollos VI, who was head of the church from 1959 to 1971, and Pope Shenouda III, who was head from 1971 to 2012. They argue that both previous patriarchs managed to keep a more balanced agreement in force with the state such that channels of communication were generally smooth, but without having the church come across as too aligned with the policies of the head of the state. 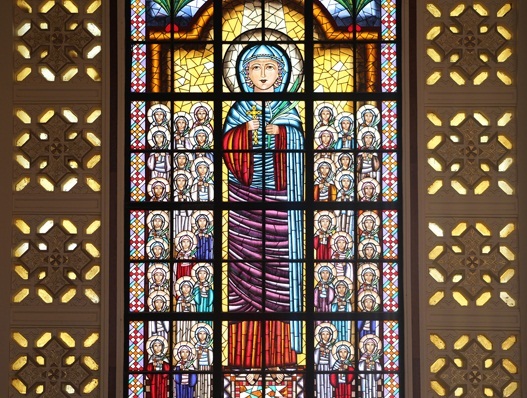 In the words of Maguida, an elderly Coptic lady who lives in Zamalek, “with the exception of the falling out between Pope Shenouda and [former president] Anwar Al-Sadat towards the end of his rule when he was getting very sensitive, the relationship between the church and state was always amicable but not too close. This is important because the head of the church has a very high spiritual status,” she said. “The state has also granted licences for the operation of many churches in many parts of the country, and this is all very good, but it should not make the church speak about politics or suggest anything to its followers,” she added. Atta is of the same opinion. He argued that the state has certain obligations towards the Copts, who are citizens of the country, and that when the state observes its duties towards these citizens it should not be perceived as a favour that needs to be reciprocated. What matters most for the Copts is not to have a sympathetic president but to be treated as equal citizens in their own country, he added. He argued that it was not right to compare Pope Tawadros II to Pope Kirollos VI, given that the former patriarch had kept a low profile and the current patriarch is living in the age of social media. Ibrahim argued that Pope Shenouda, who had been for years before his election as patriarch the bishop in charge of education, “which meant he was party to the decision-making processes of the church and was based in Cairo,” was unlike his successor Pope Tawadros II who was responsible for years for the Copts of Beheira, a governorate with a smaller Coptic community. He added, however, that unlike Pope Shenouda, Pope Tawadros was more open to a closer relation between the Coptic Orthodox Church and other churches and also less concerned to centralise matters of marriage and divorce. “They want us to go back to what it used to be like before the 25 January Revolution. But you cannot put back the clock. We were part of the January events, and we have been present in many things afterwards. 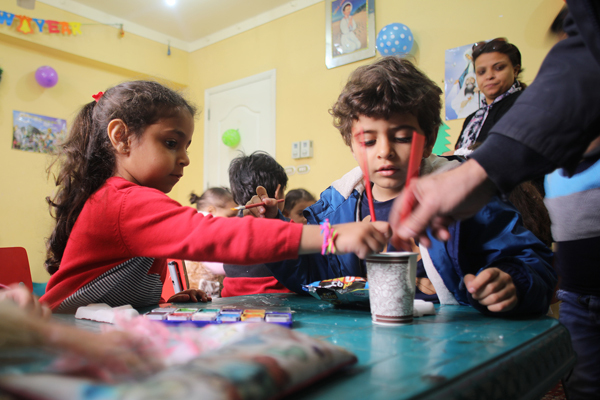 Perhaps the real gain we have made over the years since 2011 is that we now have more of a visible presence,” said George, a Coptic student from Shoubra. There is a debate about whether the Coptic Church has acted to restrain its followers in public space. There is a parallel debate about whether this happened at the wish of the church or by the act of the state. Karam likes to argue that this was the act of the state. It started in the wake of the 1952 Revolution, he said, which acted to sideline the Copts even in the midst of its fight against the Muslim Brotherhood in the 1950s and 1960s. “It was impossible for anyone, not just the Copts, to cut through the blockade that Nasser put on public space. There were no political parties and no civil society. It was inevitable that the Copts would resort to the church,” he said. Shenouda is also of the opinion that this was the act of the state, but he attributes it to Sadat rather than Nasser. “After the 1973 War when Sadat wished to eliminate the left and resorted to giving the Islamists a higher influence in society and aligned himself with Islamic regimes, he excluded the Copts in Egypt,” he argued. The falling out between Sadat and Pope Shenouda III took place when the president took the extraordinary measure of expelling a patriarch whose election has to be endorsed by the head of the executive. “It was a very scary moment, and it was impossible for anyone in the entire Coptic community not to be fearful,” Shenouda added. With the assassination of Sadat and the election of Hosni Mubarak in 1981 as the new head of state, the new president acted promptly to reinstate the patriarch of the Coptic Church, though he also refrained from upgrading the relationship between the head of the executive and the head of the church. This situation lasted for 30 years, during which the Copts gradually received more rights. 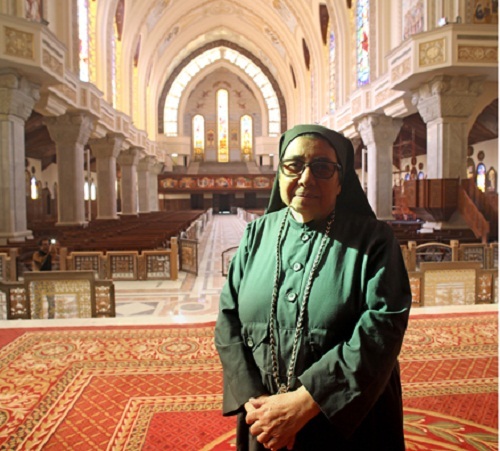 For some decades, the church was the only space in which the Copts could express themselves. Even when they wished to protest, as they did in the early days of January 2011 just a few days before the 25 January Revolution against the massacre at the Two Saints Church in Alexandria, they protested within the walls of the cathedral in Cairo. During these decades, Sunday Schools were the main venue where the vast majority of Coptic youth found space for social activism alongside spiritual guidance. The beginning of the Sunday Schools of the Coptic Church came 100 years ago. “It is the legacy of Habib Girgis, a pious man who wished to grant generations of Copts a better knowledge of their religion,” said preist Bassilious of the Coptic Church. “It was a time when the Institute for Coptic Studies had just been established, and most of the clergy outside the big cities lacked sufficient education on matters of religion. It was also a time when the public schools had not incorporated the teaching of Christianity, as was the case with Islam, so Habib Girgis decided to start the Sunday Schools to give all Copts a chance to learn and to teach,” Bassilious added. He insists that at no point in its century-old tradition in Egypt did the Sunday Schools create a collective social or political creed for the Copts. According to Talaat Daniel, a leading figure in the schools, the programmes are based on the creed and they differed from one place in the country to another. “I know that some who don’t know the schools think that they are about indoctrination, but they really aren’t. We refrain from discussing politics, and we work on religion and behaviour and social matters,” he said. In 1907, the authorities agreed to allow Christianity to be taught to school children by a knowledgeable Christian teacher. Twelve years later, after the 1919 Revolution and only one year after the launch of the Sunday Schools, the first Christianity curriculum was introduced. “It was very primitive at the time, and it was not geographically comprehensive because there were not enough schools across the country and of course not enough Sunday Schools either,” Bassilious said. Magdi Naguib, a retired civil servant in his late 60s, has had a lifetime’s association with the Sunday Schools in Cairo. He argues that the evolution of the schools has been associated with changes in lifestyles in Egypt. According to Mona Wadie, a woman in her 50s who also serves in the Sunday Schools in Cairo, “we cannot ignore the exposure of young men and women to values that might not be compatible with our society, nor can we ignore the attacks on churches. We realise that almost everyone has access to social media and that they can come across information, so we think we had better pick up the discussion with them,” she said. Both Naguib and Wadie insist that for the most part the role of the Sunday Schools is complementary to the role of the church in fortifying the creed, however. But according to some critics among those who have attended the Sunday Schools, the church is also keen to fortify its control of the schools. “I used to attend regularly, but I stopped because there is hardly any difference between what I hear in the Sunday School and what I hear at church. It is all the same,” argued Abanob, a high school student from Ain Shams. According to Atta, there was a moment when the church did not like the idea of the Sunday schools and felt they could take control of the Coptic population away from the reins of the church. “This changed down the road,” he said. Good relations between the church and Sunday Schools’ founder Girgis allowed for the fears of the clergy to be dispelled. A committee to run the schools was first set up in 1918 with a majority of non-clergy. A few decades down the road this changed to allow for more clergy than non-clergy. When Pope Shenouda III was made patriarch he allowed the first-ever non-clergy committee to run the Sunday Schools. “He wished to benefit education. This was obvious given the fact that he himself was the bishop responsible for education and he had attended and taught at the Sunday Schools,” Shenouda said. According to Abanob, “the sensitivity between the Coptic Church and the other churches is an obsession that has transpired among most of the clergy and even some of the servants of the Sunday Schools. And it is really annoying,” he added. Abanob was born to a Coptic Orthodox father and a Catholic mother. He used to attend the Sunday Schools of the Catholic Church, but then his father insisted on moving him to an Orthodox school. For a millennial like Abanob, this feud between the churches was quite disturbing. “The extremists that attack Christians do not inspect the church they follow; they just go for a busy one,” he said. Nabil Bekhit, a leading figure in the Evangelical Sunday Schools in Egypt, and Father Boulos of the Catholic Church both acknowledge such sensitivities, but they suggest that their churches first saw the introduction of the Sunday Schools. Each has a narrative to back his point of view. Both men, along with Bishop Bassilious, also agree that there are no common activities among the Sunday Schools of the three Churches. “We work in parallel. We don’t fight or compete, but we also don’t meet,” Boulos agreed. According to Ibrahim, the failure of these three leading churches in Egypt to start a process of dialogue is not just about the wish of each to stay away from the other for fear of change. It is, he said, more about an inherited fear of challenging the status quo that continues to haunt the Christian presence in Egypt, no matter that new churches are being built and the state’s discourse has improved. There is no clear census of the number of Christians in Egypt, with accounts varying between five and 12 million, making them one of the largest Christian communities in the Middle East.